About Myra Farrell, M.A. – Myra Farrell, M.A. To Think is to Create. This is a Universal truth. Channeling those thoughts in positive and productive ways is a challenge for me. The work I do consistently illuminates the ongoing struggle of self; the inner battle between resonating with the universal truths of higher self and really tuning in and following intuition and guidance, versus submitting to the pull of the ego mind that keeps focus in the 5 sense (so called) reality of earthly physical existence. I was born in New York City and was raised in a religious and conservative atmosphere. My parents both immigrated to this country, fleeing Europe during WWII. Like so many others who came to this country with nothing, they built their lives and looked to their children to realize greater opportunity. Education was a priority, and I graduated with a Master of Arts degree in Audiology in 1974. Since then, I have worked in that field as well as others and have owned and operated several businesses along the way. Although I have worked and lived what would be considered a very mainstream life, I have gravitated to the study of hypnosis and metaphysics since my mid-twenties. In my 40’s, I made the decision to get formal training in my areas of interest and have been practicing since 1999. I have had training in a variety of disciplines. I have chosen to specialize in facilitating “Past Life Regressions” , “Life Between Lives Spiritual Regression” and Consciousness Coaching. Assisting people in connecting with, and learning to listen to, their guidance has become my mission. Myra’s passion is connecting her clients to their “Guidance”. Since 1999 she has assisted them in exploring their Life Path and Purpose. 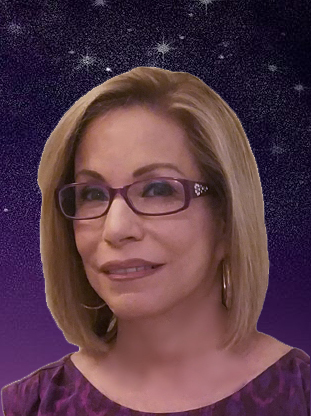 She specializes in “Past Life Regression” and “Life Between Lives Spiritual Regression” and is certified by “The Newton Institute” as a Life Between Lives Regression Therapist. She holds the following certifications and degrees; Certified Hypnotherapist, Certified Life Between Lives Therapist,Consciousness Coaching, Certified Past Life Therapist, Certified NLP Master Practitioner, Master Practitioner of Time Line Therapy. Master of Arts Degree in Audiology. Certificate of Clinical Competence in Audiology from the American Speech and Hearing Association.